Whether you are planning a vacation or a business trip, we at GSE Hotels often rely on using hotel booking websites to manage for a stay on our travels due to the convenience it provides. Users can select a hotel by budget, location, amenities etc and it is far more convenient than contacting or check out individual hotels and comparing them. With so many hotel booking websites including GSEHotels.com available on the internet, users generally pick their hotel booking websites based by the following website features. A website menu needs to be informative and easy to use. A reliable hotel booking website should be able to provide details such as prices, ratings, amenities, guest ratings, easy navigation system etc. A good hotel booking website is required to provide accurate hotel information which may include its address, amenities, photographs, route map to the hotel, tariffs, hotel room description, rules and regulations, user reviews etc. The booking procedure on a travel website requires to be simple, completed in as fewer steps as possible. Also, it should enable quick and safe payment without making the user wait for too long. A good customer care support is essential for any hotel book website. The user might have some issues while using the site, might require to make a cancellation, change of date etc. for which might require a human interface. Find below some of the best hotel booking websites across the world. Provides an extensive range of options of hotels to choose from. Filters hotels by location, price, amenities, ratings etc. Provides options such as giving feedback, changing currency, selection of language with book now pay later options etc. Categories reviews on the basis of the type of traveler, i.e. business, vacation, couple, family, honeymoon etc. Has a user-friendly interface and easy to use. Provides both internal and external photographs of the listed Hotel properties. Tariffs, ratings, reviews, special offers can be checked at a glimpse. It is a complete travel website. Provides travels with useful information such as tourist attractions, details of tours etc. Helps travelers find the cheapest room across multiple sites. Provides extensive options in the selection of hotels with pay later and last minute hotel offers. It is not a website but is a hotel booking application. It offers excellent prices for last-minute stays. Has an exclusive agreement with various hotels where they can offer unsold rooms at the last minute at great discounted rates. Offers to match rates offered on other websites. 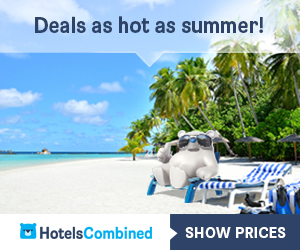 It is Kayak hotel booking website aggregator site offering price comparison on different site. Has a free price tracker service which tracks discounts and fall in prices. Since hotels pay hotel booking websites a handsome commission, hence booking directly on hotel’s website, the traveler can be offered some discount or free perks and incentives such as complimentary wine, free upgrades etc.